The Oliva factory seconds are sold through Cigars International and pitched as "small blemishes, enormous savings." 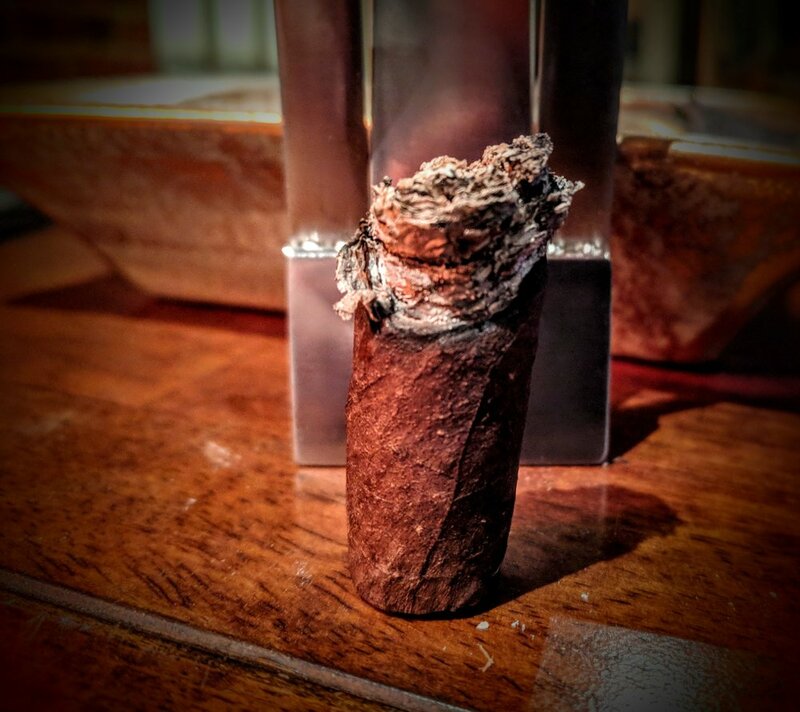 The idea behind factory seconds is that they fall just shy of the factory's quality control and are unable to be sold as the main line of cigars. CI says these are rejected due to "a slight variance in color, a vein here or there, or a sun-spot." In theory, the blend, flavors, etc should be on-point with those cigars not rejected. The Oliva 2nds Maduro is band-free. Perhaps this was to keep costs down - no sense in dressing up a segundo. Or maybe they knew better than to put lipstick on a pig? Either way, no band to judge on this stogie. I didn't expect much from this factory second from Oliva and I wasn't disappointed. The wrapper is matte in finish and perhaps a shade light for a maduro. While the wrapper is smooth and flat with a few noticeable veins, it is riddled with little pock marks, water spots and mysterious white dots. There is also some coarseness to the wrapper - like a low grit sandpaper. 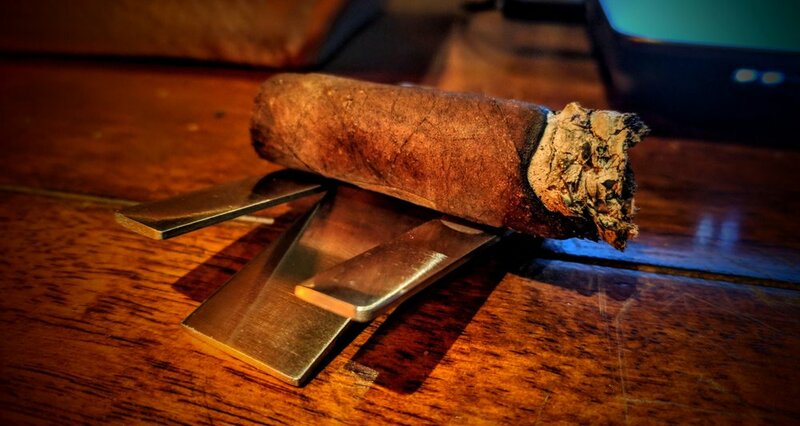 Overall, the cigar has a good firmness to it but there are a couple soft spots near the bulge and the middle of the body. The cap looks to be a double cap and utilitarian. 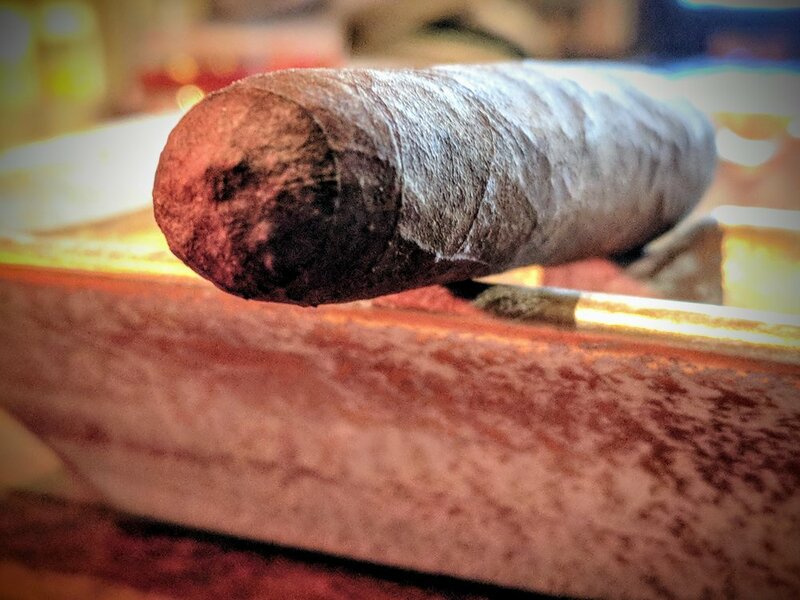 It does its job to cap the cigar but there is a defined ridge where it meets the body of the cigar. The foot has some sizable gaps and really doesn't give much confidence that this is a uniformly rolled cigar. Can we talk about this cigar being labeled as a 'corona'? Maybe I got some bad info from the person that provided this, but it definitely looks like a petite perfecto. 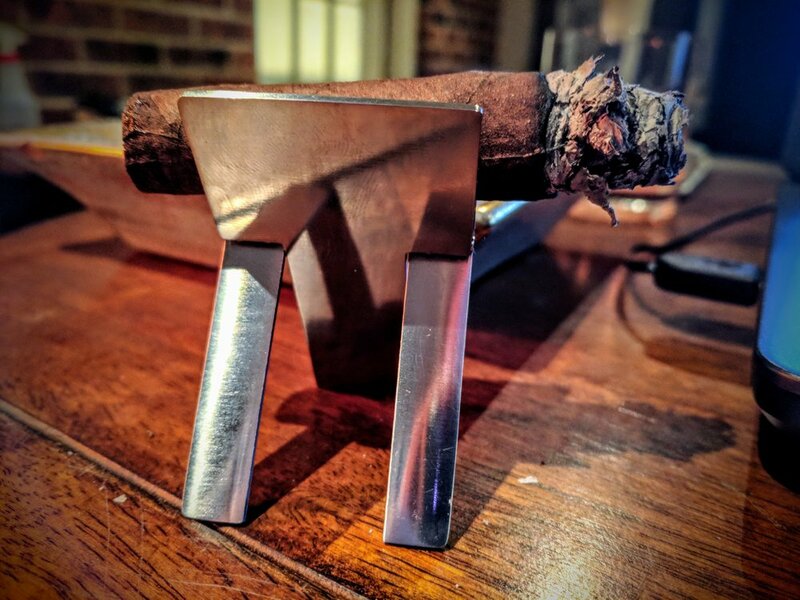 The only reason I don't question the guy who organized the split on these is that CI's website lists the Liga G corona as a 4" x 38 stick - which is basically what this measures out to be. The nomenclature on this Liga G is confusing to say the least. If I ordered coronas and got these, I'd think they sent me the wrong vitola. The Oliva 2nd has a great, although faint, aroma. There's the typical maduro notes - tobacco, cocoa and raisin. The cold draw is a little loose but nothing terrible - much better than too tight. The raisin notes continue with, again, some cocoa, tobacco and earthiness. Honestly, tastes great. So ... not great. Snipping the cap causes the wrapper to unravel slightly - I'm going to work through it. The first couple puffs are very harsh and not very enjoyable. After a couple puffs, it starts to mellow a bit but there's still something harsh or chemically lingering in the background. The draw is a little open for what I typically like but, like I said, better that than the opposite. The Oliva 2nd Liga G lit up easily enough but unevenly. It makes sense since the flame hit the tobacco it could find but the gaps in the foot probably led to the uneven light. I tried to let it ride out but I ended up having to touch it up slightly. The burn line itself is quite uneven but not too terrible. The ash is a beautiful light chalky grey color and seems to be starting out very dense and firm. Smoke production is good. The Oliva 2nd is not a chimney by any means but each puff kicks out a satisfying plume of white smoke. The smoke has what I'd call a classic, typical cigar aroma to it. The first third of the cigar is really void of much flavor - it's really pretty dull. There is some ... wait for it ... charred tobacco (crazy, I know) and some bitter coffee and cocoa notes. The retrohale really didn't do much for the palate - it was fairly simple and really didn't serve to bring out any new flavors or accentuate existing ones. The draw remains open and acceptable. The burn is all over the place. It started out very rough with some major portions that were not burning however by the time I took the picture, it had evened out remarkably well. The ash is splaying out a lot and if it weren't so messy would be pretty cool looking. The middle third starts to settle in and serves to develop some flavor on the palate. There is a slight creaminess to it with, again, some char, bitter black coffee and a little cocoa still. Additionally, there's a bit of vanilla lingering that helps to provide a subtle sweetness. Retrohale is mildly harsh and in a sense ruins the flavors that were beginning to come to fruition. The Oliva's ash held well and ashed of its own volition after about 3/4 of an inch. Oddly, almost immediately upon ashing, the cigar went out and required a relight. The relight didn't bring any harshness and in a very strange way seemed to improve the cigar's flavor. The burn line itself is great with a nice, even burn to this point. The Oliva 2nd Liga G's final act is by far the best. There is still an underlying harshness but for the most part it's been supplanted by charred wood and meat notes. Any hint of sweetness from the chocolate/cream/vanilla is completely absent and the palate is solely savory at this point. The open draw had me concerned that the final third would smoke very hot but surprisingly, it's fairly cool. Right at the final third point, the burn was starting to fade out and I touched it up carefully. The burn line is pretty even and nothing to complain about really. The ash continues to hold well, albeit sloppy. Every other puff tended to shoot out a flaky rain of ash. The Oliva 2nd's flavors progressed in the sense that it got better as it smoked. The first third was forgettable and really not something I'd care to repeat. The middle produced some more defineable flavors that were certainly more enjoyable than the initial. 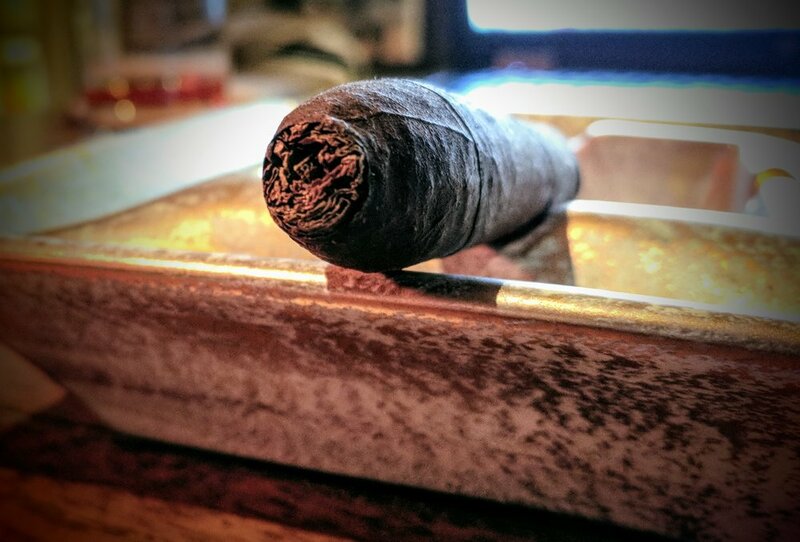 Finally, in the cigar's sweet spot, the final third develops to bring out some charred meats and wood that are nice. All that said, it was a slow development to something mediocre and really not an experience I'd seek out again. The cigar was an enigma in that it did not suffer from any burn issues except for a couple relights. Inexplicably, it would just go out once the ash fell. The burn line never warranted a touch up - so there's that at least. Let's get one thing out of the way - this cigar is only acceptable in that it'll run you just north of a dollar. It's UGLY, NOT VERY FLAVORFUL AND best suited to enjoy while doing a little yardwork. If you're looking for a cigar to sit down and relax with, I'd reach for something ELSE from Oliva's PHENOMENAL PORTFOLIO. Of course the trade off is that those sticks will run you SEVERAL times more. Not a terrible cigar, but not one I'd smoke again any time soon.